Size of this preview: 366 × 599 pixels. Other resolutions: 147 × 240 pixels | 939 × 1,536 pixels. 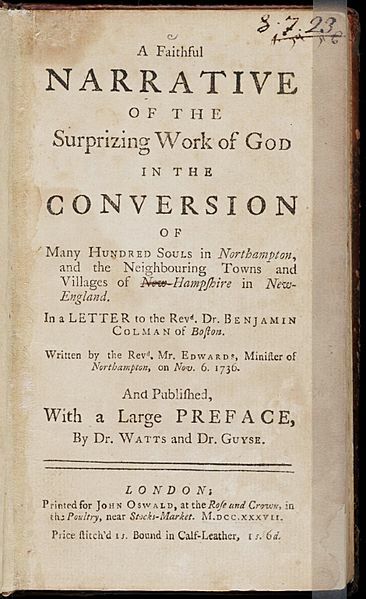 Description: "A Faithful Narrative of the Surprizing Work of God in the Conversion of Many Hundred Souls in Northampton," by the Rev. 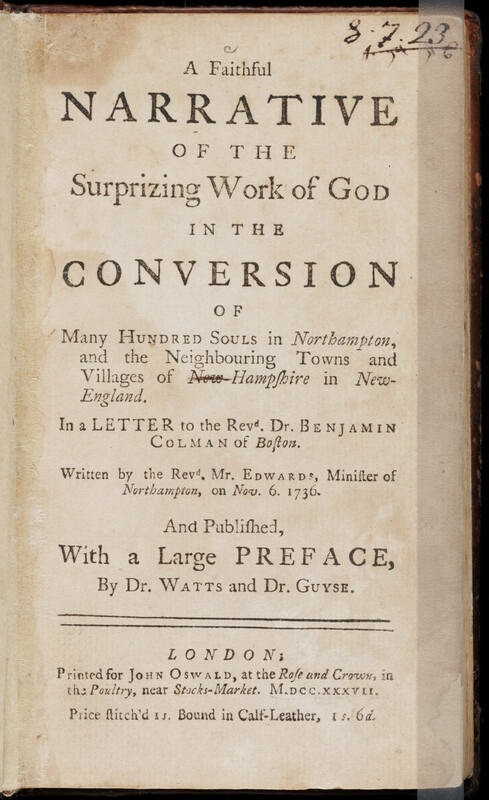 Jonathan Edwards, printed for John Oswald, London, 1737. Courtesy of the Beinecke Rare Book & Manuscript Library, Yale University. This page was last modified on 20 April 2017, at 06:24.